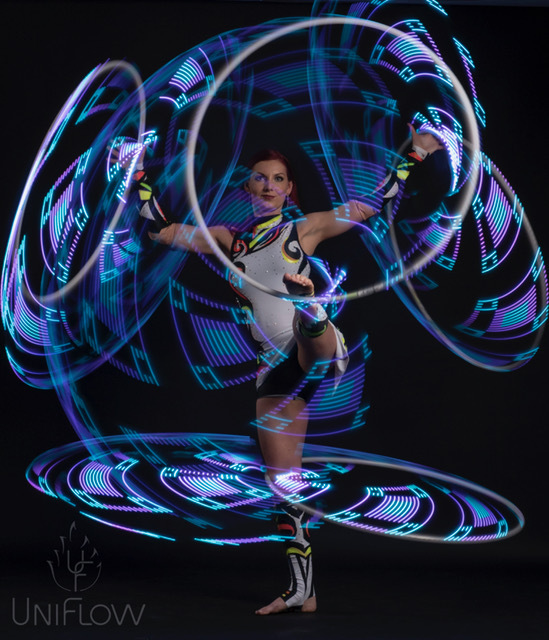 The Phoenix Hoop, formerly from LED entertainment leader SpinFX, is now part of the Hyperion family! We're busy updating the new 2018 Phoenix design with the Hyperion Hoop's advanced third generation software, more pattern capacity, and motion sensors. Information about the transition can be found here. New Phoenix hoops should be shipping by late August or early September. 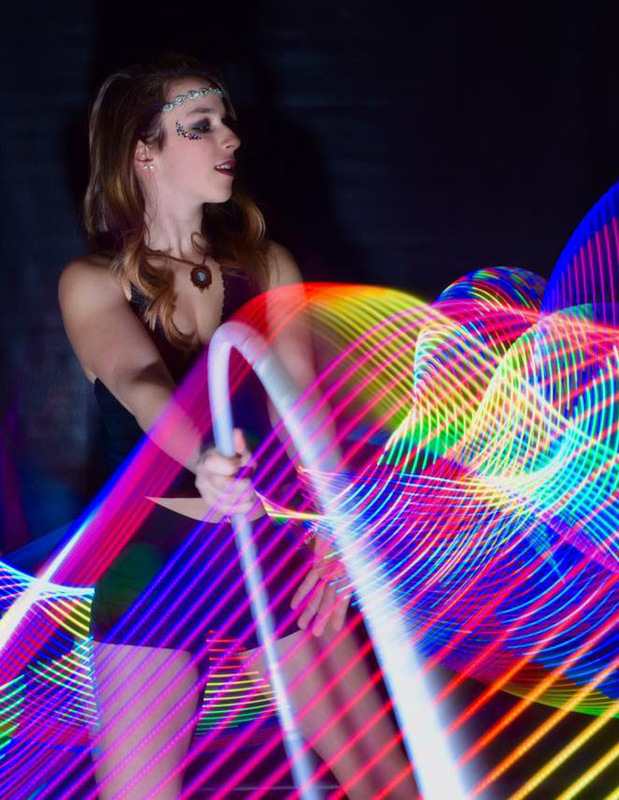 You can choose between the original Hyperion Hoop's light weight and removable battery or the new Phoenix Hoop's completely gapless, balanced design. 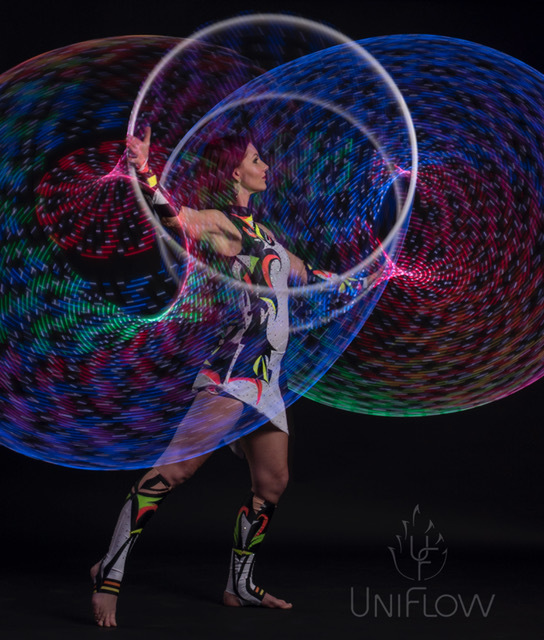 Our Hyperion Poi are far and away the most advanced image poi available. They feature the same 3rd generation Hyperion software as our WiFi-equipped hoops, 90 bright high-density LEDs each, the ability to sync many pairs wirelessly, Art-Net support, and an intuitive web app for control, pattern editing, and customization. The Hyperion runs on a single removable battery for quick battery changes and virtually unlimited endurance, with a typical run time of 1-2 hours per battery. The Phoenix uses internal batteries and runs for 2-5 hours on a single charge, depending on settings. Both hoops can charge via USB, and the Hyperion comes with a fast wall charger that charges two batteries at a time. Both hoops feature a battery read-out to show estimated battery life remaining. Pattern changes can be synchronized to songs using a simple script editor. WiFi-capable hoops also support the industry standard Art-Net™ protocol for more complex choreography and live wireless control from a lighting control console, PC, or mobile device. Our hoops are available with Bluetooth or WiFi connectivity. Bluetooth hoops can link with another hoop, or with our Android app. WiFi hoops can be synced in groups of up to 32 and can also sync with Hyperion Poi. The hoops can be set to display the same pattern at the same time or different, coordinated patterns. We measure hoops by inner diameter (ID) – that is, the distance from inner edge to inner edge across the hoop. Our hoops are available in sizes from 22" to 40" in half-inch increments. Resizing services are available for both models, and the Hyperion model include one free down-size with purchase, redeemable any time. Our hoops are available in 3/4" natural white HDPE, clear polypro, or colored polypro tubing. The tough polycarbonate inner connector design features a metal push button which allows the hoop to open and close smoothly. Hoops can be partially coiled down to 20″ across for transportation. 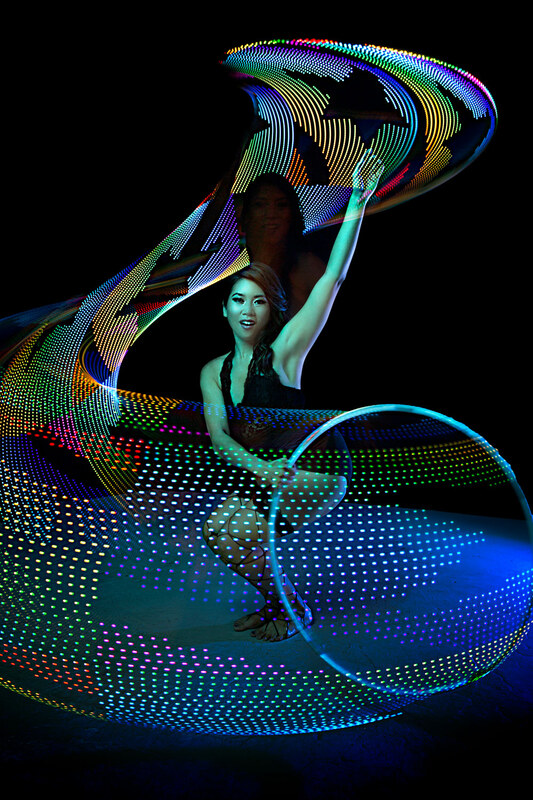 Our hoops use high-brightness LEDs capable of displaying over 16 million colors and hundreds of updates per second. 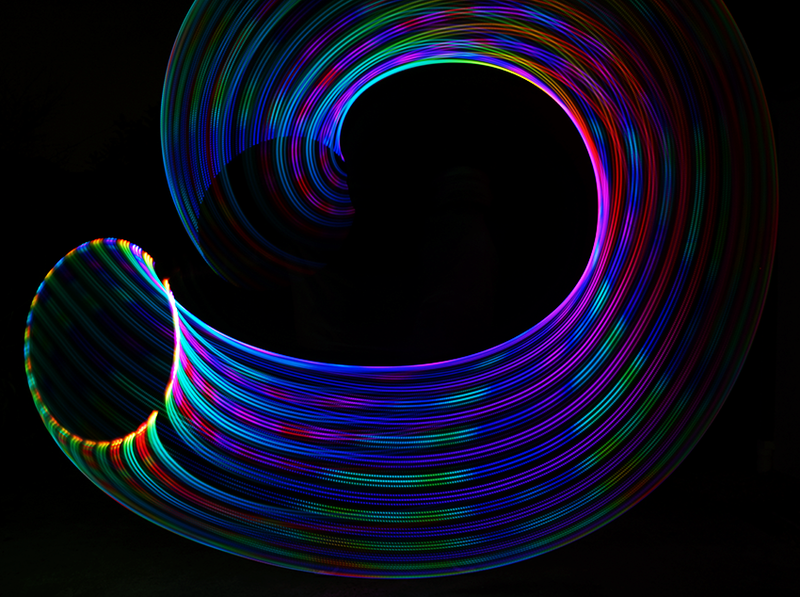 A typical 32” hoop has 155 LEDs. Lightweight foam holds the LEDs in place to prevent rattling while adding only a fraction of an ounce.